​Atletico Madrid president Enrique Cerezo has insisted that Antoine Griezmann will remain at the club this summer, despite the French forward being linked with a potential move to Barcelona. Griezmann was on the brink of joining Barcelona before the World Cup last summer, but the move fell through at the final hour after the 28-year-old publicly rejected the Blaugrana's advances and signed a contract extension to keep him at Atletico until 2023 - in a one-off TV documentary labelled 'La Decision'. The rumours surrounding a potential move to ​Barcelona have resurfaced just under a year later, with it being previously suggested that Griezmann is ​willing to take a pay cut in order to secure a move to the Catalan giants. However, Cerezo has rubbished any talks of a move, simply stating that the Frenchman will not be leaving ​Atletico under any circumstances this summer. "Antoine will not move," he told El Rondo, as per ​Mundo Deportivo. 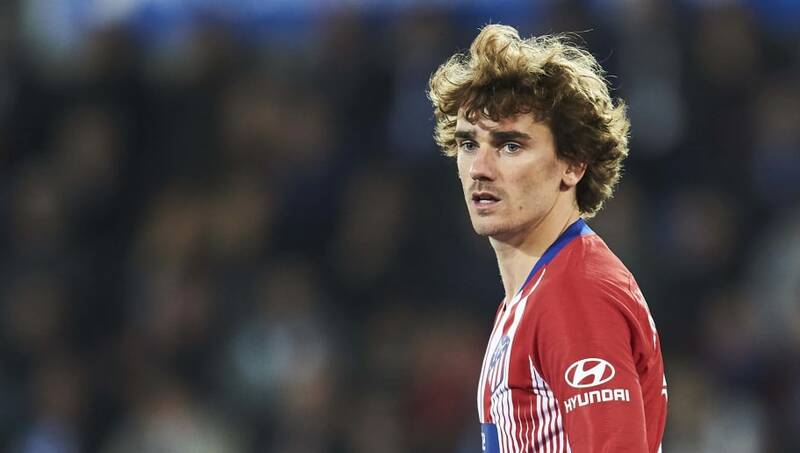 "Antoine remains at Atleti, for sure". ☺ The lads trained at the Wanda @Metropolitano on Monday! Atletico have already lost Griezmann's compatriot Lucas Hernandez, who'll be joining ​Bayern Munich this summer, so it'll come as no surprise to see them dig their heels in if Barcelona do come knocking.